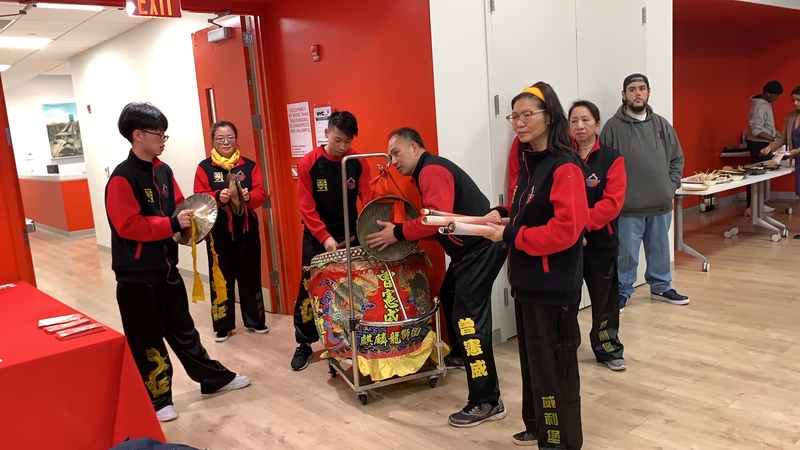 New York State Comptroller Thomas DiNapoli hosted his annual Lunar New Year celebration on Thursday, at the Grand Street Settlement. During the celebration, DiNapoli honored outstanding members of New York City’s Asian community. In Asian culture, the year of the Pig symbolizes wealth and good fortune. Preparations for the Lunar New Year begin well in advance of the new moon, as families clean and decorate their homes, sweeping out last year’s bad luck. All cleaning stops as soon as the new year begins, for fear of driving the good luck out. Many purchase new clothes so as to make a fresh start. The color red can be seen everywhere. A symbol of good luck, red is believed to ward off bad luck and beasts. Families come together to share special meals and exchange gifts. Children often receive “lucky money,” usually in red envelopes given by their elders. First to be honored was Jennifer Heejin Kim who joined City Bar Justice Center in 2003, directing the refugee assistance project to help asylum seekers. Heejin Kim and her staff and pro bono attorneys work to assist low income refugees, victims of violent crime, others seeking legal advice on immigration matters. She also helped found and lead the Korean Americans for Political Advancement, an organization devoted to civil rights, immigrant rights and economic justice. Chung Seto, a political strategist and community activist, was called up next. A Hong Kong native who came to New York at the age of eight, Seto has worked in government, politics, the nonprofit sector and private consulting. She was the first Asian-American spokesperson for the United States Labor Department and the first Asian-American director for the State Democratic Committee in New York. Every person or organization that Seto has been involved with has had a focus on promoting equality, opportunity and social justice. Seto lent a hand in founding the Eleanor Roosevelt Legacy Committee and has served on the board of a multitude of community committees, including the Chinatown YMCA. 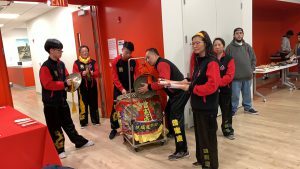 “I take credit in trying to really expand the powerbase of Asian-Americans here in the city and in our neighborhoods, particularly in Chinatown in our state,” said Seto. United Auto Workers International representative Tiffany Yee-Vo was also honored at the celebration. Yee-Vo started her career as an organizer with the UAW in 2010. She is currently the lead organizer for the graduate workers at Columbia University, UAW Local 2110, which represents 3,000 teaching assistants. “I started organizing because I wanted to help immigrant workers, and just like all Americans, social justice starts at our workplaces,” said Yee-Vo. Lastly, Joanne Kwong, President of Pearl River Mart, was honored by the Comptroller. Born to Chinese immigrants with cultural ties to the Philippines and South Korea, Kwong began her career as an attorney. In response to the sudden closing of the legendary Pearl River Mart in 2016, she made a plan with her in-laws, the store’s founders, to reopen and revitalize the business. When the store first opened in 1971, its mission was to be a store that would bring people together to explore and celebrate Asian culture. Kwong has since opened three new locations, which feature an array of artists and cultural events as well as a plenty of delightful Asian goods. Thursday’s celebration, held on the anniversary of DiNapoli being named Comptroller, was intimate, with happiness and festivities, including a lion dance performed by the Asian United and Cultural Exchange Council (AUCEC) and a Tai Chi Kung Fu Fan dance performed by the Grand Coalition of Seniors.